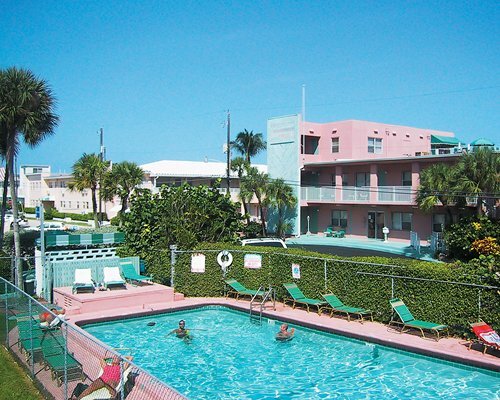 Just south of Fort Lauderdale, Enchanted Isle Resort offers a perfect base for exploring the attractions of southeastern Florida. Stretch out beside the pool and soak up some sunshine or hit the beach for a day of swimming, windsurfing, water-skiing, scuba diving or boating. Excellent local golf courses will challenge your game or try out the nearby tennis facilities. Charter a deep-sea fishing excursion or bicycle along the boardwalk. Settle in with a choice of comfortable, spacious accommodations, all with modern amenities and great views. 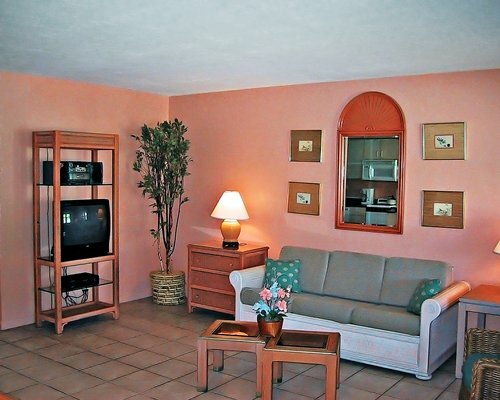 Enchanted Isle Resort is perfect for vacationing couples or families enjoying a getaway. Relax in air-conditioned comfort with studios that sleep two, 1-bedroom units that sleep up to four, and 2-bedroom units that sleep up to six. All accommodations come with full kitchens that include a microwave and dishwasher. Laundry facilities are on-site. Hollywood possesses its own distinctive mix of sites and sounds, with easy access to the beach, enticing nature spots, and a host of nearby Fort Lauderdale attractions. Stroll along Hollywood Beach Boardwalk and visit the charming shops, cafés and restuarants facing the ocean. Watch a thrilling, dangerous, high-speed game of Jai-Alai in Dania. Enjoy a 2-1/2 hour sightseeing cruise onboard the 115-foot Tropical Adventure, the only tourboat that goes onto the Atlantic Ocean. The nearest major airport is in Fort Lauderdale, 7 miles away. From the airport take US 1 South to Sheridan St., turn left and go east to A1A, turn right on A1A. On A1A go approx. 2 miles where you'll pass under Hollywood Blvd., continue thru the traffic light at Crocus Terr. Rd., then take the first left turn lane at Foxglove (which is an unmarked street). Go east to Surf Rd, then turn left. The resort is 1.5 blocks on the right. From I-95, exit at Sheridan St., follow above directions. Office hours: Mon - Fri, 7:30am to 5pm; Sat 7:30am to 6pm, closed on Sunday. IF YOU ANTICIPATE ARRIVAL AFTER HOURS, YOU MUST CONTACT THE RESORT AT 954/922-1508 FOR ALTERNATE ARRANGEMENTS.